Luke and I love small weddings. 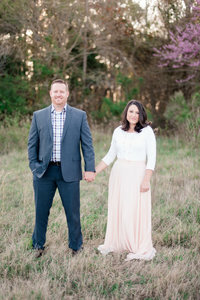 And this Virginia Elopement that took place in Norfolk VA hit close to home. Luke and I also eloped almost 14 years ago! So when we get the chance to photograph such an intimate ceremony we take great joy in it. Shooting these elopements bring us back to that small living room in Alaska where we said our own vows. We unfortunately did not have a photographer, so I only have just a few pictures of that day. I love now that couples are choosing to hire a photographer even though it is a small ceremony. I believe whole heartedly still making it a celebration and documenting the day! In the 6 years that we have been shooting weddings and portraits I have never been this behind in blogging! Fortunately, I have still been able to edit and deliver images to the couples in a timely manner, but blogging has been put on a back burner. Which is sad because Luke and I have been shooting some amazing sessions! Sean & Cassidy being one of them! We met up with this couple after they said their vows at the courthouse. We were not allowed to do pictures inside, so we decided to start with some coffee at The Cure Coffee House in Ghent. We love this location and it was a great spot for their family to unwind and get a drink of good coffee while we shot some portraits of the newlyweds. A huge shoutout to this amazing coffee house for always being so kind and generous to us! Luke & I are so lucky. We are truly fortunate not to only have amazing clients to photograph and share their stories, but also be apart of an incredible community. Karen with Aleen Floral Design, created the prettiest bouquet for Cassidy. It fit perfectly with her short dress lined in blue. The love and thoughtfulness that went into that bouquet meant the world to me. I look back at my own wedding day… no flowers, no photographer, no family, and although it was perfect in it’s own way, I always want my brides to feel like a bride no matter the size or budget of their wedding. And Karen helped make that possible. She is truly one of the most giving and thoughtful people I know and again, we are so lucky to have such an incredible community. Speaking of community, I have to give a shout out to Hummingbird Macarons. If you have never had one of their macaroons, you are missing out! They are located next to Cure and their cute little shop is definitely one to visit. Sean & Cassidy wanted to have the tradition of having a wedding cake but with a macaron instead. Our whole party was welcomed in and greeted with such warmth and excitement. It was so much fun to watch these two take part in their own little take of the wedding cake ceremony. We even used their cute little bakery for some pretty portraits of the newlyweds! Thank-You Hummingbird for being so kind and gracious to us! Lastly, we ended our outing at the location where he proposed. Mermaid Winery. Once again, the staff their was so gracious and kind. The newlyweds toasted with their friends and family and it was an incredible ending to our session. Thank-You Sean & Cassidy for inviting us along on your intimate celebration. We loved being able to document this special day and we wish you a lifetime of love and happiness! To See More amazing couples visit the links below!